It's almost that time again. E3 2016 is a mere matter of weeks away and that means hype levels can start rising. 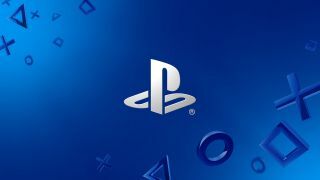 Sony has revealed that its conference will kick off at 6pm Pacific Time on June 13. This means a slightly painful 2am spot on June 14 for those on this side of the pond but it does snare PlayStation the final conference of the day. Sony's 2015 appearance was a thing dreams were made of - The Last Guardian reappeared, Shenmue 3 got its Kickstarter, and the remake of Final Fantasy 7 was announced - so what will they follow up with next month? My guess is plenty of hardware on top of any game reveals. PlayStation VR is going to be the main focus and add in the probable but still officially unconfirmed PS4 Neo for a better VR experience and I expect we'll get a release date and price for the new tech. I'm also guessing at at least one big triple A publisher jumping into the VR fray for a glorious reveal by Sony. We'll update you with all the E3 gossip as and when it happens but you can also take a look at our selection of the games we're excited about seeing at E3 2016.